Nearly two million acres running alongside 200 miles of the Continental Divide offer outdoor, sport, and wildlife enthusiasts an endless array of activities and landscapes, from snowy peaks to sub-alpine lakes to desert vistas to the headwaters of the mighty Rio Grande. The Rio Grande National Forest encompasses four wilderness areas: the South San Juan, Weminuche, La Garita, and Sangre de Cristo. An ancient home to the mysterious Anasazi, the forest also encompassed the Wheeler Geologic Area and a range of other fascinating sites and scenes for outdoor recreation lovers. Breathtaking fall color and deep, powdery winter snows make this park a treasure all year round. Anglers return to the Rio Grande National Forest every year from across the region for its high altitude fishing opportunities. 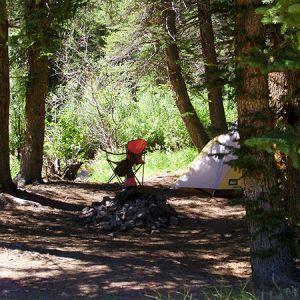 There are many camping opportunities in the San Luis Valley. 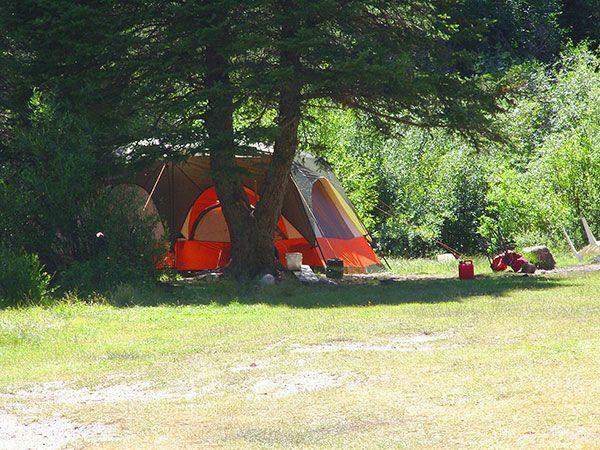 Check out our listings for full-hookup commercial campgrounds. 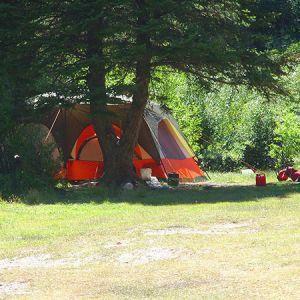 If you are looking for a more remote campsite, explore the options at the Great Sand Dunes National Park, Rio Grande National Forest, and San Luis Lakes State Park. 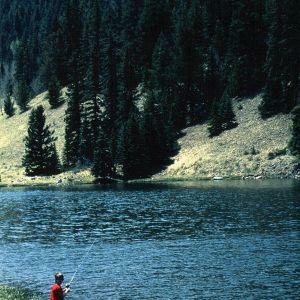 There are plenty of opportunities for great fishing in high mountain lakes and streams as well as downstream rivers and reservoirs in the Conejos Peak, Del Norte, Creede, and Saguache Ranger Districts. The five major species of fish found in the forest include, Rainbow Trout, Brown Trout, Brook Tout, Cutthroat Trout and the Rio Grande Cutthroat. 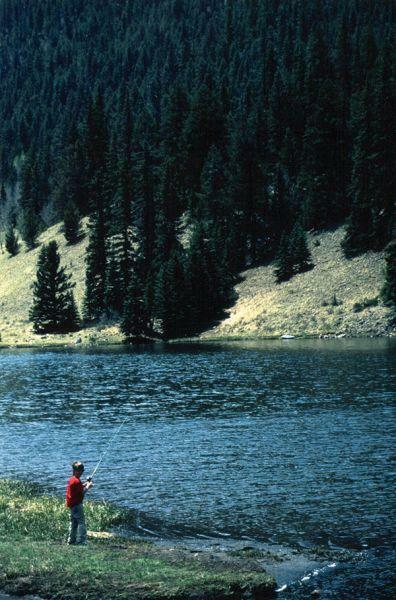 All persons fifteen years of age or older are required to have a Colorado fishing license. Visit the Division of Wildlife site for fishing information, rules and regulations, and applications and licenses. Check out our page on Ice Fishing. The Rio Grande National Forest allows big game, small game, and waterfowl hunting in Conejos Peak, Creede, and Saguache Districts. Six species of big game animals are hunted in the forest, including elk, mule deer, pronghorn antelope, black bear, bighorn sheep and mountain lion. Special permits are required (by drawing) to hunt cow elk, antelope and sheep. For more information, contact the Area 17, WS Region Office, 719-587-6900, 722 South Road 1 East, Monte Vista, CO 81144. 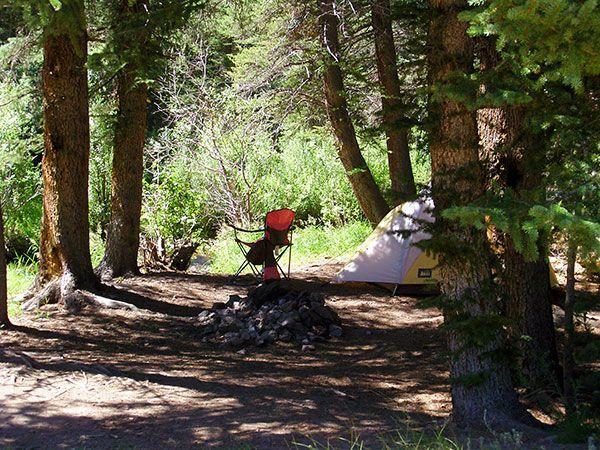 Visit the extensive and official Rio Grande National Forest web site and find specific information such as camping, trails, current conditions, maps, brochures, passes, and permits. The Del Monte Gun Club is centrally located in the San Luis Valley, nestled between the Sangre de Cristo and San Juan mountain ranges. They offer sporting clays, trap and the “what cha call it” stand. Why not think about setting up an appreciation shoot for your clientele or maybe a business retreat? They will work with you on group rates and meals, if needed. Or just come out with the family and try your hand at shooting. They also have expanded the electrical plug-in locations for RV trailers. So come by and stay a weekend or a few days and have some great shooting fun. 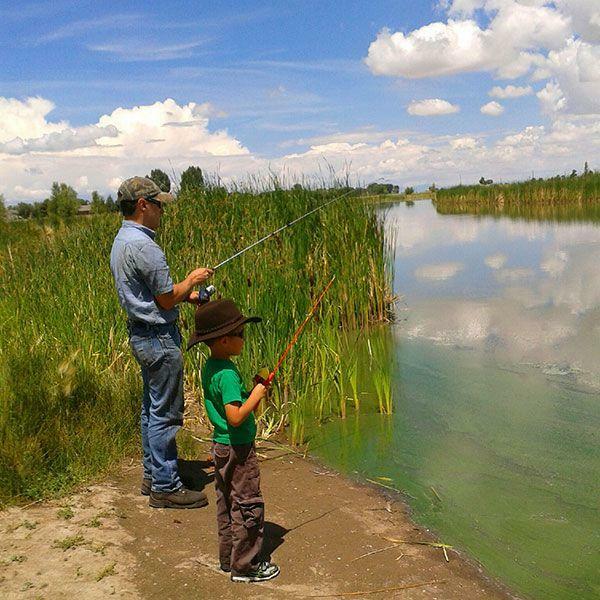 You are also just a few miles from many attractions to view and take in here in the San Luis Valley. They are open to the public and open for shooting most weekends.